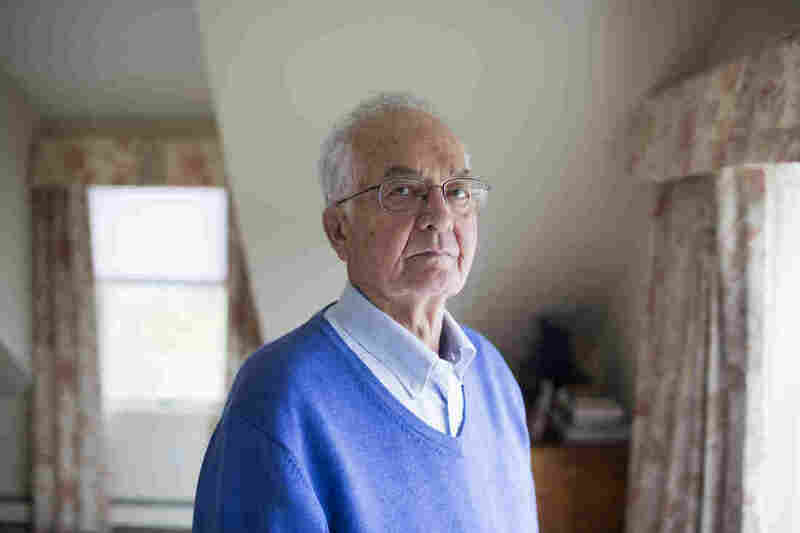 Bob Smithson, 79, can now hold his head upright and breathe on his own, thanks to a medication for myasthenia gravis. Bob Smithson had been in the critical care unit at Brigham and Women's Hospital in Boston for more than a week. 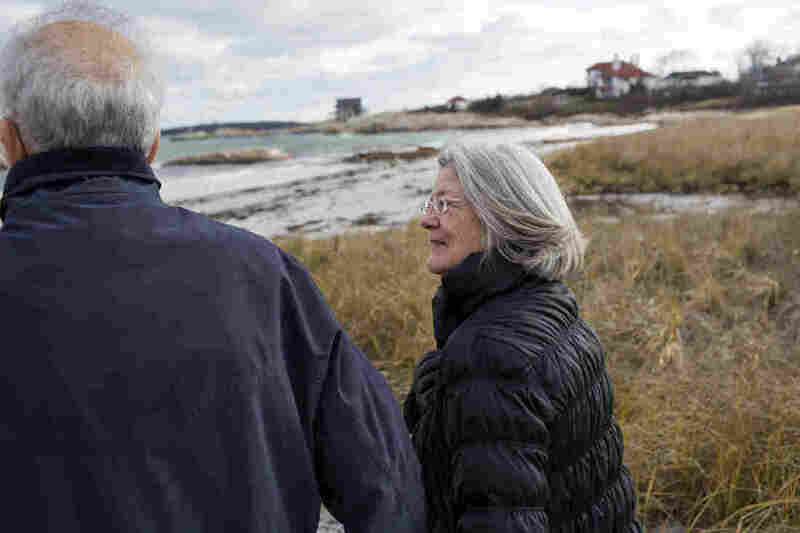 He had a rare neuromuscular disease, and his 78-year-old body was being kept alive by tubes that delivered air to his lungs and food to his stomach. Then Bob's wife, Pat, got some really disturbing news. The hospital's medical staff wanted Bob to have a tracheostomy, a surgical procedure that would carve a hole in his neck and allow doctors to keep him on a breathing machine indefinitely. Some patients who get a tracheostomy never breathe on their own again. And Pat feared that Bob would be one of these patients. "I just could not bear it," she says. So she made an appeal to Dr. Allan Ropper, the neurologist who had admitted Bob to the hospital. And that's when Ropper made a decision that couldn't be supported by any medical textbook. The events leading to that decision had begun a year earlier in the couple's two-story house in Cohasset, Mass. "We were having dinner with some very good friends," Bob says. "One of our friends happened to be a doctor, and he said, 'Why are you dropping your head, Bob?' "
Bob had no idea why his head was lolling forward. Neither did his doctor friend. Before long, other symptoms appeared. Bob had trouble swallowing and he had double vision. 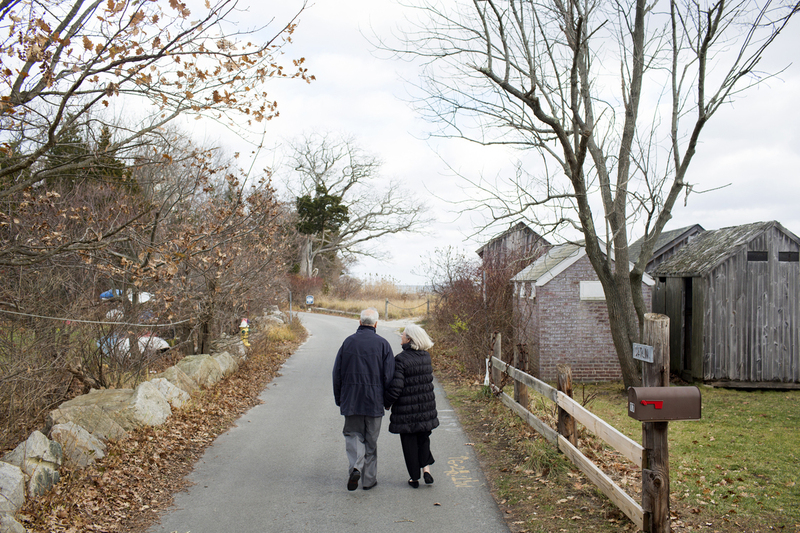 Bob and Pat Smithson walk to the beach on Cohasset Harbor near their home in Cohasset, Mass. Eventually a local neurologist identified the cause: myasthenia gravis. It occurs when the body's immune system attacks the connections between nerve and muscle. That weakens muscles, including those that control eye movement, swallowing and even breathing. Doctors treat myasthenia with drugs that improve the transmission of nerve impulses and suppress the immune system. But the disease is rare enough that many doctors have never seen a case. So Bob's neurologist sent him to Ropper, an expert on the disease. From the start, Ropper knew Bob might be headed for big trouble. "Myasthenia is known to be a very fickle disease," Ropper says. "It can get bad very quickly. It has a substantial mortality rate, particularly in an individual his age." Ropper started Bob on several medications. But his patient's muscles continued to weaken. "He was spending more and more of the day holding his head up by putting his arm under his chin," Ropper says. "That was enough to say, 'You need to be in the hospital.' "
Pat feared if Bob got a tracheostomy that he would soon die. Pat began spending her days with Bob at the hospital and nights at a Holiday Inn. Late one evening, she got a call. Bob was being moved to the intensive care unit and wanted to see her. Pat took a cab back to the hospital. "I sat in a chair and put my arms round his legs, and we sort of stayed until the morning," she says. Before long, Bob was heavily sedated, full of tubes and unable to talk or even write messages. "I thought, well, if it was me, I'm sure Bob would be right there," Pat says. After Bob had spent more than a week in intensive care, Ropper realized that his patient had arrived at a critical juncture. "He was beginning to get a pneumonia and was really in the kind of spiral that is very feared," Ropper says. The medications weren't working. From time to time, doctors would turn off the ventilator to see if Bob could breathe on his own. He couldn't. And Bob was becoming despondent, Pat says. She feared that one more setback would be too much for him, and for her. So when surgeons suggested the tracheostomy, Pat balked. To her, the procedure amounted to a statement that her husband wasn't going to leave the hospital alive. Ropper understood her reaction to the tracheostomy. "It's done all the time," he says, "but it signifies that you're in it for the long haul and things are going to get bad." A good neurologist learns how to "interact with the person inside the brain," Ropper says in his book Reaching Down the Rabbit Hole. So when Pat asked whether the procedure was absolutely necessary, he decided to try something unorthodox, something that reflected his understanding both of Pat and Bob, and of the disease that had brought them to this point. Ropper knew that weeks earlier, Bob had stopped getting a myasthenia gravis drug called Mestinon because it no longer seemed to be working. And during his decades in practice, Ropper had noticed that some patients who stop taking Mestinon for a while regain their ability to respond to the drug. 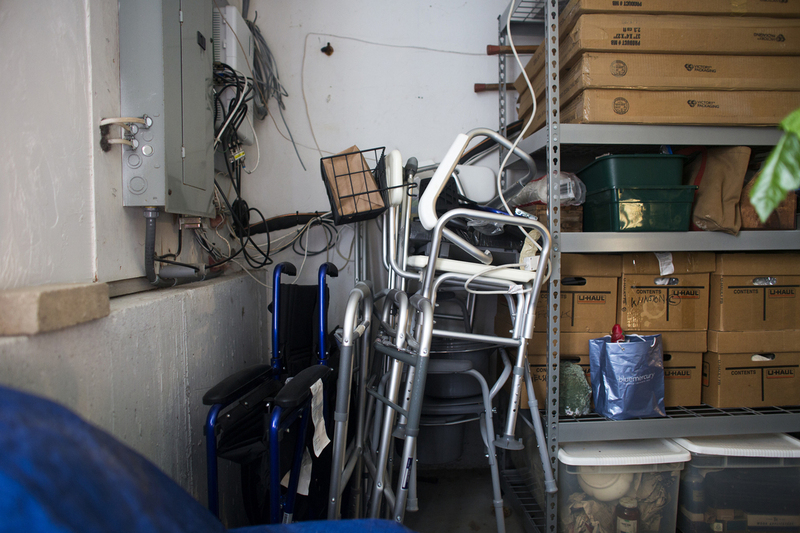 The walkers, wheelchairs, canes and other medical equipment that Bob needed when his symptoms were most pronounced now occupy a corner of the garage. "So I said, 'Don't do the tracheostomy; put him back on the Mestinon," Ropper says. It was a decision based as much on art as on science, he says. Bob started getting Mestinon again on a Friday. Ropper told the surgeons to wait until Monday to see if Bob responded. And on Sunday, Pat says, a team came by to test her husband's lungs one more time. "When they took him off the ventilator, he breathed," she says. "He took that breath." Bob would spend another week in intensive care and months regaining his strength. But a year after the dinner where his head began to loll, Bob and Pat had another party with the same guests. This time, Bob had no trouble holding his head up. "It was such fun," Pat says. Bob adds: "Had we not had a doctor like Dr. Ropper, I'm not sure where I'd be today."